In pursuit of an easy-to-use and ergonomic architecture of new refractometers. ATAGO developped a palm-fitting masterpiece as well as an unit that is high in hygienic properties. Through the efforts to produce a hygienic instrument to be used in any industry, the PAL-series are designed to be completely washable. 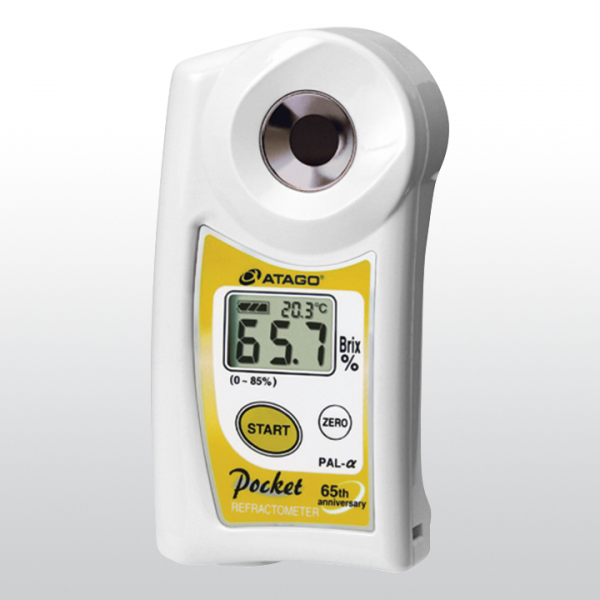 This refractometer has been approved by HACCP, and is equipped with the ELI feature, which ensures accurate measurements - even outdoor. PAL-Î± is a special model with a wide Brix range (0.0-85.0%). PAL-α is useful for measuring most kinds of samples as well as samples that are in the cooking process. Designed with a water resistant feature, the PAL-Î± can be washed under running water. Related links to "ATAGO PAL-α"